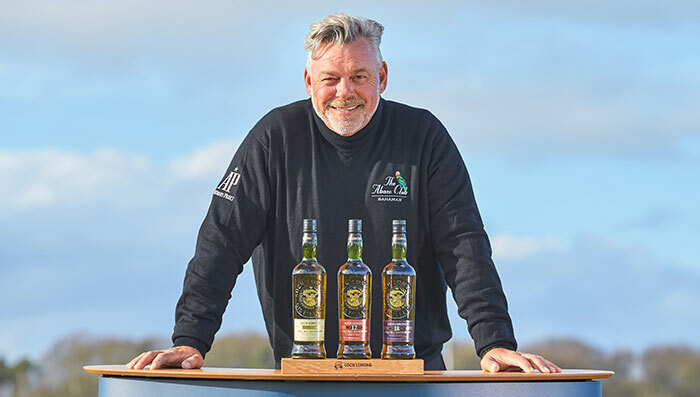 Loch Lomond Whiskies, The Official Spirit of The Open, has agreed a high-profile partnership with 2011 Open Champion, Darren Clarke, to promote the brand’s range of award-winning single malts across the world. Ahead of the 148th Open, when the world’s original Major returns to Northern Ireland next year, Clarke will work with Loch Lomond Whiskies’ Master Blender, Michael Henry, to create The Open Course Collection: Royal Portrush Edition. The Royal Portrush Edition will be a 19-year old Single Malt and will go on sale in early 2019. Clarke lifted the iconic Claret Jug at Royal St George’s where The Open returns in 2020. His stellar career has so far included 14 European Tour wins, 3 PGA Tour wins and five consecutive Ryder Cup appearances for Europe between 1997 and 2006. He also led Team Europe as captain of the 2016 Ryder Cup team at Hazeltine National Golf Club. Clarke joins fellow professionals Colin Montgomerie, Paul Lawrie and Cristie Kerr as ambassadors for the brand. Commenting at the launch of the Loch Lomond Whiskies partnership, Clarke said: “It’s a huge honour to join Loch Lomond Whiskies and to have the chance to create a single malt with the experts at the distillery. “To mark The Open at Royal Portrush – a club that is so close to my heart – with my very own single malt whisky is absolutely fantastic. For me, a Scotch single malt is as good as it gets. Colin Matthews, Loch Lomond Group CEO, said: “We’re delighted to welcome Darren to Loch Lomond Whiskies and incredibly excited about working together.